Yesterday evening, 6th March 2012, many of the D.T.W.C. 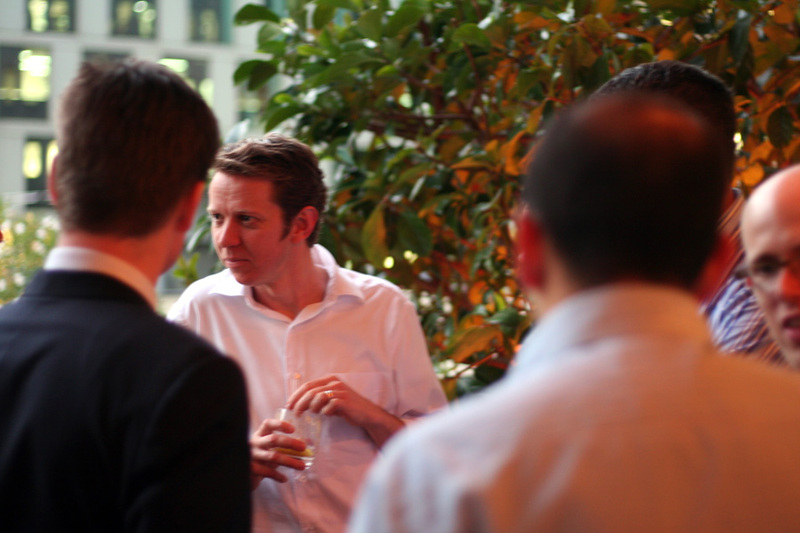 club members were lucky enough to attend the Grant's 12yo Syndey Launch Party at the Ivy Bar. 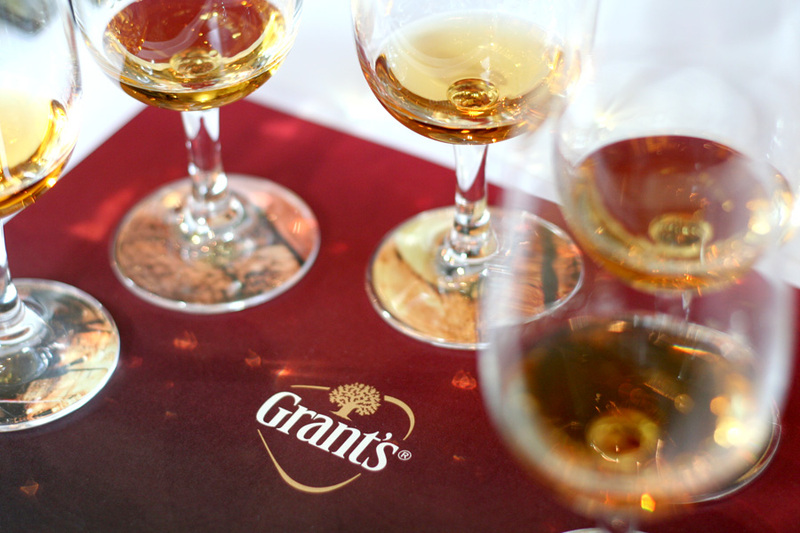 Until recently all we have ever seen of Grant's Whisky in Australia is the presence of the Grant's Family Reserve. This of course is only one of many Grant's Whiskies available world wide so it is good to see more options now coming to our shores. Though the Grant's 12yo is only officially being released now in Australia, running up to this event over the past month or so Grant's have also released it's 2 sister products to the Family Reserve. These being the Grant's Ale Cask and the Grant's Sherry Cask which can now be found on the shelves of any reputable whisky retailer. Prior to the 7pm launch party, The Converted and myself, managed to wrangle ourselves for a intimate tasting of the full Grants family expressions. With only as small handful of individuals (11 I think I counted) in total seated at the table, Ludo Ducrocq, Grant’s Global Ambassador, took us through a history of Grant's and the entire grain to bottle process. Laid out on the table was a fine selection nibbles and nosing references as well as the 5 Grant's core expressions: Family Reserve, Ale Cask, Sherry Cask, 12yo, and the very limited 25yo. A bit of general chit chat crossed the table (primarily about how the Grant's 25yo is by better than the Johnnie Walker Blue), but for the most part all were fixated on Ludo's presentation. I had spoken to Ludo several times over the last few months over email so I can easily say he is not only a very passionate and expressive individual but an excellent presenter and knowledge custodian of everything Grant's. He truly loves what he does which just makes the ride all the more enjoyable. 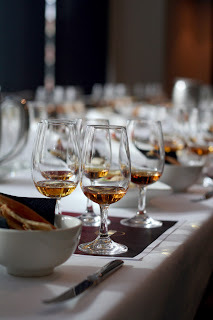 In my opinion this was one of the best Masterclasses I have been too of any distiller. To find out more about Ludo check out his blog at the Grant's Whisky website and if I have not mentioned Ludo's name enough below is short insight into the man himself. Now it should be made clear I have not been kind to the Grant's Family Reserve in the past and I still am not fond of now as it really does assault my pallet. It must be said though I am really taken by the Grant's Ale Cask recently released in Australia. The Grant's Ale Cask has effectively been available elsewhere for approximately 10 years now (I am sure that time frame has been since it was released) and has been gaining popularity ever since. In a blind nosing of the Ale Cask, Family Reserve, and Sherry Cask, I can pick each time which one is the Ale Cask. It has a real nose of poppy ale about it with a creamy smooth mouth coating effect. To create the Ale Cask Grant's actually brew a beer specifically designed to go into the oak casks which only remains interned for a matter of months before being emptied and then filled with Grant's Whisky. The beer, though originally being destroyed after the process, is now being bottle and sold under the label Innis & Gunn. You should be able to find a few bottles of Innis & Gunn at your local bottle shop but if you want to get the full story check it out the quick movie here. The Launch party was a good time had by all. We noted a rather strange demographic of firstly having a higher than usual female presences in the room (which suddenly dissipated about 45min into the event), as well as around 70% of attendees were between 25 and 35 years of age. This is all just guess work of course but the age group was obviously very young. Whisky cocktails and Grant's 12yo flowed freely at the bar and a more than steady supply of canapes made the rounds all evening long. The Dog was rather fond of the fish taco (snicker smirk raise eyebrows) while The Colonel and I had a thing for the lamb chops. 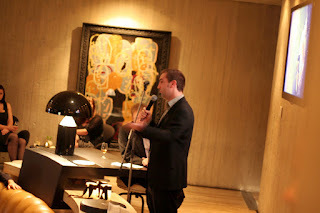 Ludo (as mentioned above) hosted the launch party as well, delivering a brief history of the Grant's Family and the Distillery as well as group tasting of the Grant's 12yo. For any that may have the time and interested in the Grant's core expressions, Ludo will be hosting a masterclass at the Oak Barrel Sydney on the 8th March for a slight $25. To find out more on this event check out the Oak Barrels site. Overall this was a very professional Masterclass and a tummy filling Launch Party. Thanks to Grant's for the invitations and many thanks again to Ludo for his guidance in all things Grant's.